The C.R.O.S.S. from EdjeTech is the ultimate machine coolant filtration system! 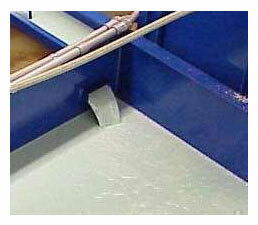 EdjeTech’s C.R.O.S.S is a coolant filter that is used to remove contaminants from your metalworking fluid. Our coolant filtration system will remove the solids and free oils no matter if it is a soluble oil, semi-synthetic, or synthetic machine coolant. 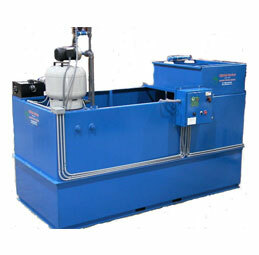 Centralized Coolant Filter – Provides clean coolant 24 hours a day for the whole shop. 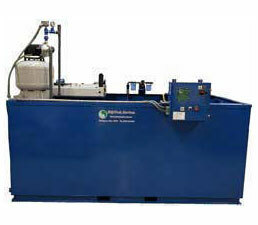 Oil/ Water Separator – bag filters separate free oils as well as solids and coalescing media. Sizing and Volume – the C.R.O.S.S. 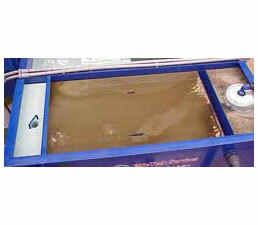 can handle the largest sump in any shop and provide coolant to several machines even in times of high demand. 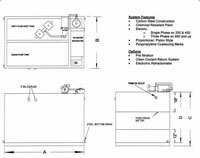 The best fluid maintenance solution for a facility is to get on a regular sump clean out procedure using the EdjeTech C.R.O.S.S coolant return system. This is not as daunting a task as it seems if proper instruction is followed. For example, a shop might be cleaning out their sumps every six months because the coolant smells or is too dirty to perform well. Using the C.R.O.S.S. coolant recovery machine, this same company could eliminate coolant disposal by setting up a schedule to regularly remove the coolant from the machine sumps, send it to the C.R.O.S.S. and recharge the sump quickly with the clean coolant that is available to the shop floor 24 hours-per-day via the coolant return system. This is not a complete sump clean out; it is only the removal of coolant and recharge. This schedule will also help in speeding up that half year or yearly heavy clean out of sumps because dirt and oils will have been removed regularly with the help of the coolant return system. Increase YOUR production through waste minimization, invest in EdjeTech’s efficient machine coolant filtration systems today. 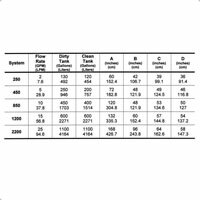 The system payback is typically 3 to 9 months. Stop throwing away your coolant! "Very reliable units. We have many of your units in service."  Jake Kunkel, Busche Enterprises, Albion, IN.